Lycoming linebacker Trey Smith took a minute Wednesday to text Misericordia defensive back Nick Yeager and wish him good luck on the Cougars’ game this week. It’s hard not to root for the story which has been brewing all season in Dallas. A Misericordia program which has never won more than one game in a season since its inception in 2012 has won eight in a row entering Saturday’s regular-season finale against Lycoming. With a ninth consecutive win, the Cougars could claim a share, or even an outright, Middle Atlantic Conference championship. An NCAA tournament berth is still a possibility and a postseason game of some kind is already guaranteed. Yeager has been right in the middle of the greatest football season in school history. The Hughesville graduate leads the Cougars in tackles (82) and forced fumbles (2). He also is tied for the team lead in interceptions (2) and pass breakups (5). The message from Smith, a high school teammate at Hughesville, was encouraging. There’s no need for trash talk between the two friends. It’s a time to go compete, but there’s no ill will between the two. Smith understands the enormity of the story taking place at Misericordia and he’s happy to see Yeager in the middle of it all. Yeager hasn’t been surprised by the success Misericordia has enjoyed this season. His only surprise is how quickly the tides have turned for the program. He knew this year’s senior class was just a little different than the other senior classes which have passed through Misericordia. Yeager described this Misericordia senior class as one which was not happy with merely playing football in college. Their intent was to play it well. And they’ve shown that through their work ethic and their drive to make others around them better. In the six previous seasons in the history of the Misericordia football program, the Cougars have totaled just five wins. They came one-per-season from 2013 through 2017. Three of the wins were against FDU-Florham. Two more were against Wilkes. Misericordia had no other wins against MAC teams. In succession, Misericordia has run off league wins against Widener, Wilkes, Alvernia, Lebanon Valley, FDU-Florham, King’s and Albright. But maybe no win was bigger than the Week 2 win against Widener. It was the program’s first win over one of the blue bloods of the MAC. And it earned the victory by scoring a touchdown with 4 seconds left in regulation and converting the two-point conversion for a 36-35 victory. The Cougars have carried the momentum into the rest of the season without falling into the trap of believing in its own hype and without letting any adversity derail its run. It’s how they’ve taken what was one history-making win and turning it into one of the best stories in Division III football this season. Yeager arrived on campus as Misericordia was in the midst of its struggles. At the time, having the Cougars on the schedule was all but a guaranteed victory. The football program, though, was a cursory thought as he found which school was the best fit for him out of high school. He was drawn to Dallas because of the academics. As a healthcare management major, Misericordia has helped him land internships and gain experience he’s going to need when he graduates next year. He had an overnight stay with members of the football team during his recruiting process where he noticed the guys were just a little different. It was a close-knit team and he couldn’t help but notice how down-to-Earth everyone was. He was happy to join the football team despite their struggles. He could see something which indicated that there was growth and success coming from both the coaching staff and the players already in the program. Yeager has been a key contributor to the rise. He saw the field a good chunk of last season, finishing second on the team with 65 tackles and seven tackles for loss as a linebacker. He moved to the secondary this season where he’s been a handful for opposing offenses. He had a season-high 15 tackles in a win over King’s. He had 13 in a season-opening loss to the Merchant Marine Academy. He’s had at least seven tackles in seven of the Cougars’ nine games this season. His production has improved as his understanding of the defense has grown. He’s no longer thinking about his responsibilities and the responsibilities of those around him. He’s able to hear and defensive call, understand what it is immediately, and just react as the play unfolds in front of him. 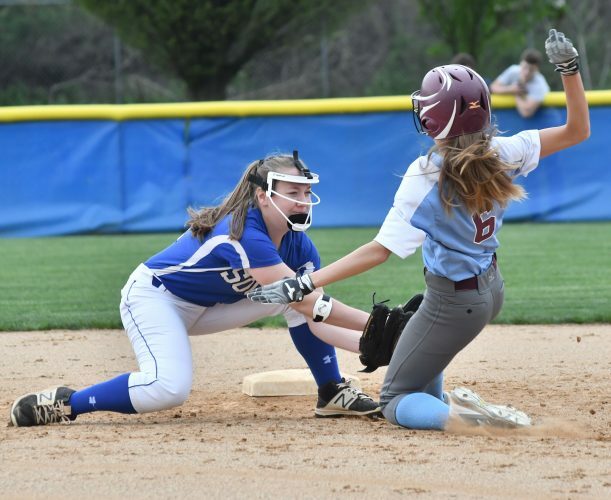 Yeager and Smith were both looking forward to their matchup a year ago when Misericordia traveled to Williamsport. But an injury to Smith prevented from playing in the matchup. Now, they’ll relish the opportunity to compete on the same field, even if they won’t be on it at the same time. Yeager and Smith both said there’s no trash talk necessary because while they may not be rooting for each other between noon and 4 p.m. Saturday, the other 8,756 hours of the year they’ll be each other’s biggest fan.